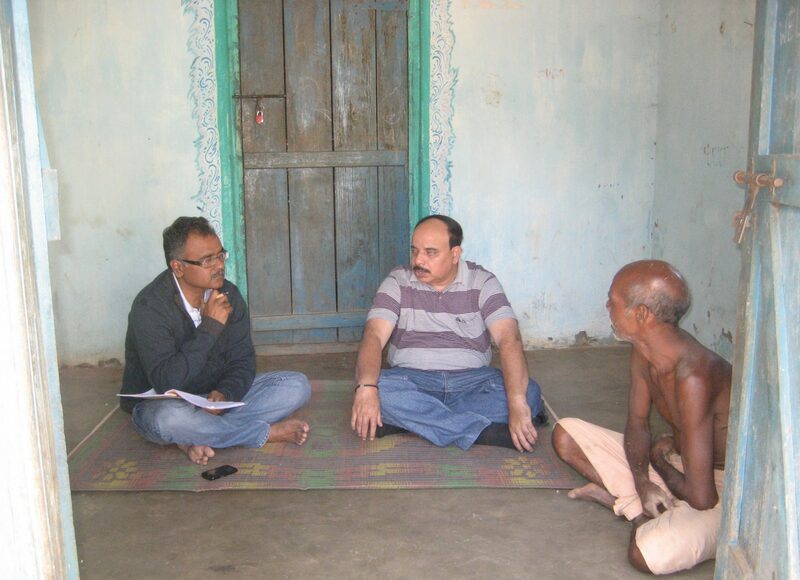 Anirudh Krishna of Duke University has been studying households escaping the trap of poverty in India. His analysis reveals that a large percentage of people crossing the poverty line tend to fall back below the line after some time. According to him, one of the principal contributing factors for such backward movement is the households’ expenditure on healthcare. Food in-take patterns for below poverty line (BPL) households indicate that their food is highly deficient in protein and fats. As majority of their routine expenses of is on food they try to reduce the expenses by avoiding costly lentils- an important source of protein for Indian households, and cooking oil. This situation prevails in rural areas as well. In rural areas such households are either smallholder farmers or landless laborers. Smallholder farmers in order to maximize utility of their small farmlands mostly cultivate their staple food, such as wheat, paddy, maize and/or potato, to avoid episodes of hunger. Thus, even when a household owns a small patch of farmland, it still needs to purchase pulses and cooking oil from the market. They generally admit cooking lentils only during festivals. They are happy if they get a chance to eat non-vegetarian food, a rich source of protein, even once a year. Consumption of milk, another source of protein and other nutrients is also almost absent. Even when a household possesses a milch animal, most of the milk is sold off to generate cash, leaving just enough for preparing tea. Protein deficiency in their diet is quite detrimental to mental and physical health of especially the children. High levels of malnutrition along with physically risky occupations, unhygienic living conditions, and compulsion of defecating in the open render members of households, living in poverty, extremely vulnerable to various ailments and accidents. This requires them to spend a large proportion of their earnings to meet their medical expenses. There are two additional reasons for the enormity of health expenses beyond the aforesaid factors. First reason relates to the general preference of the households in poverty for private medical practitioners to the public medical services. They find public health centers distant and unresponsive to their needs and conditions. They also find procedures within such centers time-taking, insensitive and intimidating. A large majority of such households reports having difficulty with understanding the written instructions. They are forced to spend a large amount of time without being attended to, whenever they go to public health facilities. They feel that the treatment from private medical practitioners is faster and more effective. They do not have to wait for long hours to get treated and the doctors are willing to see the patients at their homes. This way they do not have to lose their wages if somebody in the family is to be shown to a doctor. Moreover, according to them, the private doctors behave in a nicer way. That itself evokes a feeling of trust and they think they would be treated better by such doctors than at the government hospitals. Private doctors are also open to accept deferred payments, which suits the people not having ready cash at the time when medical contingencies arise. They have to therefore spend a much larger amount on their healthcare than would have been the case if they were going to government health facilities. In addition, most of the private doctors they go to, are non-qualified or under-qualified. In villages most of such ‘doctors’ have no medical qualification. They generally learn their craft while working as unskilled medicine dispensers in medical stores (pharmacies) in nearby towns. While working in such stores they acquire knowledge of basic medicines, and most importantly, get to know the names of broad-spectrum and very potent antibiotics. After working there for about three months to one year they set up their practice in a village. There they take advantage of the villagers being largely illiterate and uneducated. They overmedicate their patients and charge heavily for those medicines. Some of them even dispense medicines without their wrappers and it becomes difficult to know what medicines they are dispensing, and whether expiry dates for such medicines are not over. As they do not have knowledge or skill to diagnose a disease they invariably administer high doses of painkillers and broad-spectrum antibiotics in all the diseases which makes the patient feel better. This is also a reason why the villagers consider their treatment to be more effective than the government doctors. In all such cases, the private doctors charged heavy amounts. This however harms the patients much more than their diseases in most cases as highly potent antibiotics destroy their immunity and high dosage of pain killers are associated with several side effects. This creates a vicious cycle that further exacerbates their medical bills. It is important to point out here that public health facilities are extensively used by the relatively influential people and local elite especially in rural areas, which reduces their medical bills substantially. This phenomenon of poor running much higher medical bills than relatively affluent in the same geographical spaces further exacerbates the prevalent inequality among different economic classes and misdirects the state spendings on health. The other main reason for high expenses on medical care on part of the deprived households relates to an almost complete absence of their relying on home remedies that have been an important part of Indian heritage. Such remedies are in fact demonstrably more effective than allopathic medicines especially in cases of relatively simpler diseases such as common fever, common cold, some pains and aches, and common stomach disorders. The remedies are generally food-based and herbal and have no side effects. It is a paradox that while more and more affluent Indians are getting back to home remedies due to increased awareness of limitations of allopathy, people from disadvantaged sections are almost totally discarding such options. Part of the reason for this is that home remedies take time in making their impact (although, as they mostly work on the causes of the ailments, they are more effective in completely getting rid of the medical conditions), while allopathic medicines very quickly subdue the symptoms of the disease. There is also a sociological reason that goes back to the time when attractively packaged and seemingly miraculous allopathic medicines were accessible to only a small section of rich Indian households. A large section of deprived population had absolutely no access to this modern miracle. This is the reason why this section of population desperately grabbed the opportunity when there was a possibility of getting allopathic medicines. This is also the reason why there is always some pride associated with the assertion by the disadvantaged households that they never resort to home remedies and the patient is always shown to a doctor even when there was some fever, a minor cold or cough. Moreover, due to the similar reasons, injections and drips are always considered superior to oral medicines by such households even when these are much costlier. I have witnessed several medical practitioners who would put all the patients on glucose-sodium chloride intravenous infusion as soon as they enter their clinics irrespective of the ailments they are suffering from. Needless to say, they charge exorbitantly for this procedure. Malnutrition along with lack of quality education as discussed in an earlier blog-piece substantially reduces the value of demographic dividend for India. This entry was posted in Uncategorized and tagged Disadvantaged Households, Healthcare, Home remedies, India, Malnutrition, poverty, Public Health on July 14, 2016 by Dr Anurag Priyadarshee. Fascinating read. I learnt a few new things. Also, the bit about the rural poor seeking out private doctors reminded me of the book ‘Poor economics’ by Abhijit Banerjee and Esther Duflo. They make a similar argument in one of their chapters. Thank you, Juhi. Yes, that is the reality across the country. Public services in all spheres of life are more effectively accessed by the relatively more affluent. Part of the reason for this concerns with the nature of Indian bureaucracy even at its lowest level. I have attempted to analyze this for India Post in one of my earlier blog entries (part IV of India Post story). Will be interested to know about what you think of that analysis.